10 Innovative and Coolest Funnels for your Kitchen. These 'Innovative and Coolest Funnels' are designed to make pouring graceful and simple. 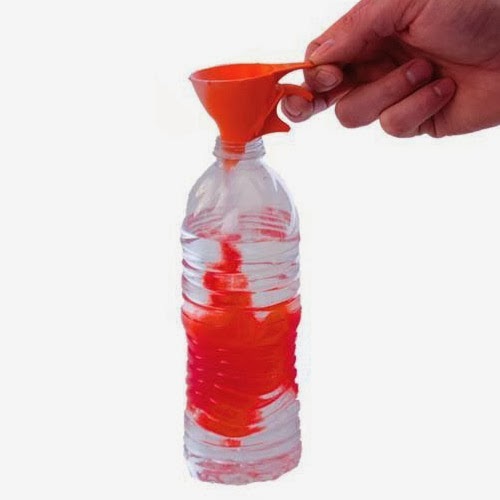 Square Funnel: The Square Funnel speeds up the liquid flow into the bottle considerably taking advantage of its shape. 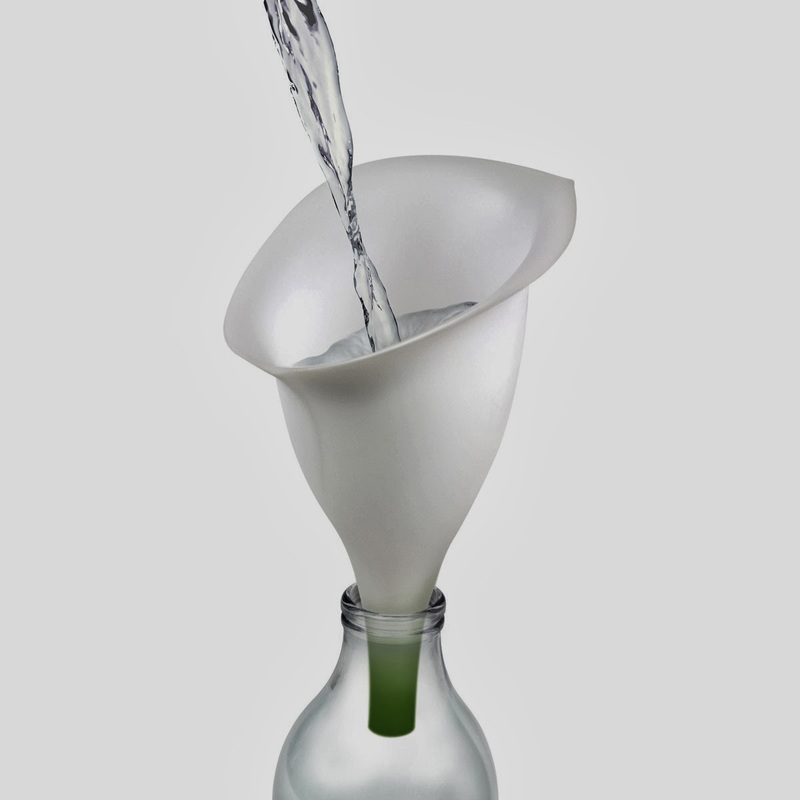 Flower Funnel: Fill-A-Lily is a beautiful lily shaped funnel in white and green color and it looks like a flower. 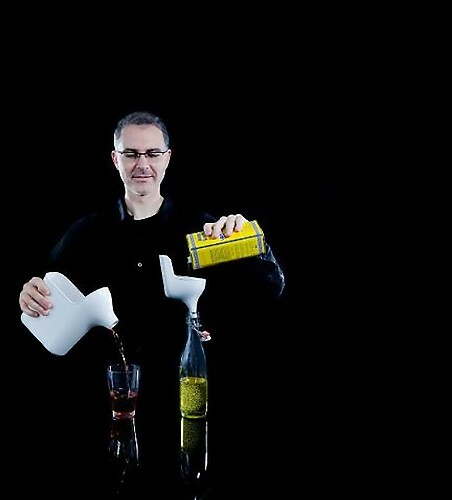 Funnel by Normann Copenhagen: The foldable kitchen funnel by Normann Copenhagen is a simple, functional and practical object. 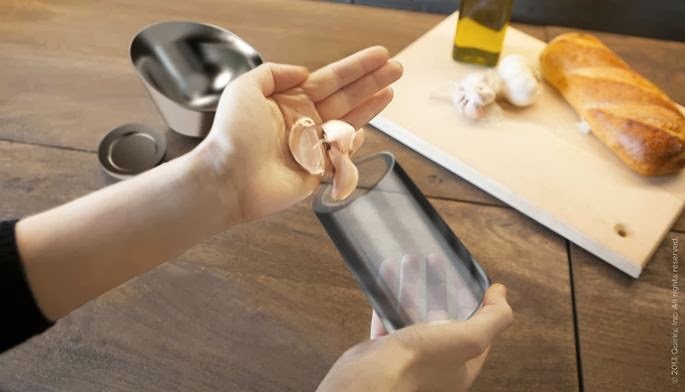 While the material used is flexible enough to be folded time and again, yet it is tough enough to keep its shape and durable enough to withstand different temperatures. Funnel Friends Set: This set is for pouring, measuring and filling. Funnel Neck: Funnel Neck designed by Kawamura-Ganjavian is a bottle top that can be fixed over the plastic water bottles; once you fill the water in the bottle it transforms your bottle into a watering can. 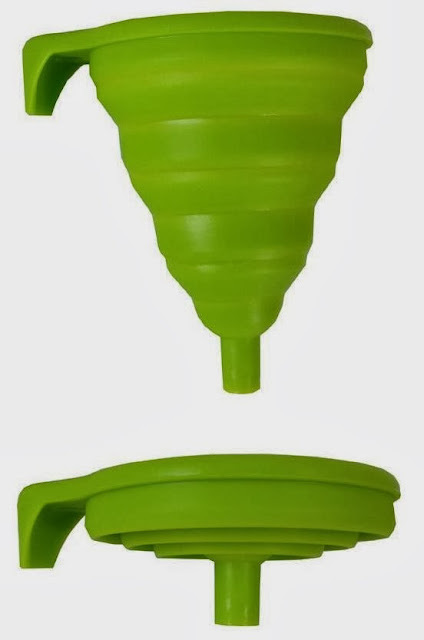 Scoop and Funnel: This scoop comes with a built-in funnel that allows you to easily scoop and pour the contents. Flat-Pack Funnel: This cool Flat-Pack Funnel is the creation of Australian designer Robin Bristow. 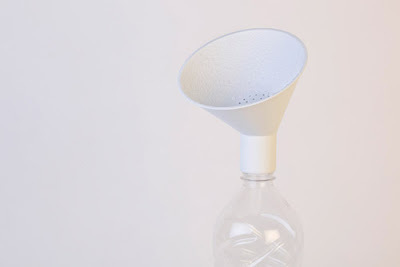 Spout Funnel: The spout funnel designed by Japanese designer Atsuhiro Hayashi seems to take its inspiration from splash of water. 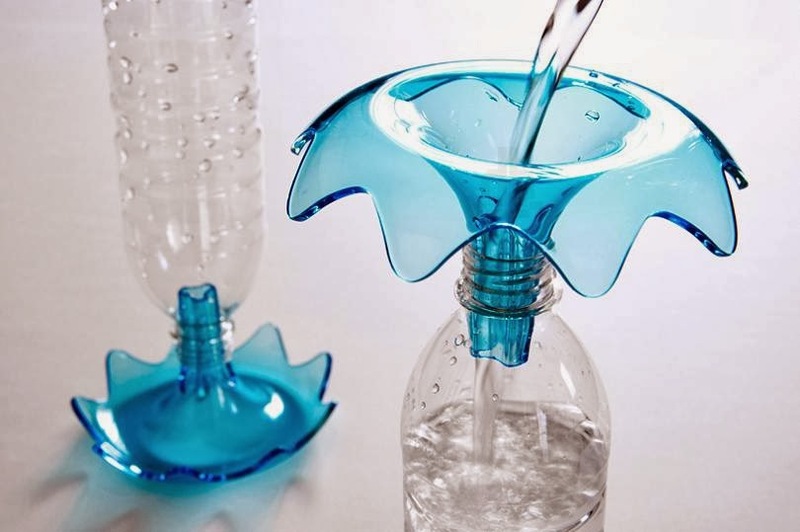 It also doubles as a drain stand after washing the bottle. 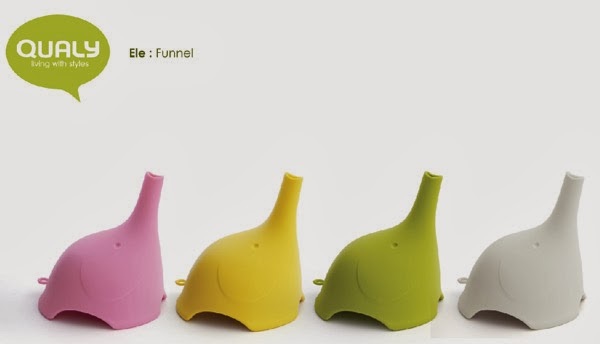 Funnel by Thai Qualy Design: This adorable Funnel from Thai Qualy Design takes its inspiration from the elephant. Foldable Funnel: This foldable funnel expands to sit sturdily on top of most bottles, jars, and then folds for compact storage. 15 Creative Steampunk Gadgets and Designs. 15 Creative and Cool DIY Chandelier Designs. 10 Creative Sleeping Bags and Unique Sleeping Bag Designs - Part 5. 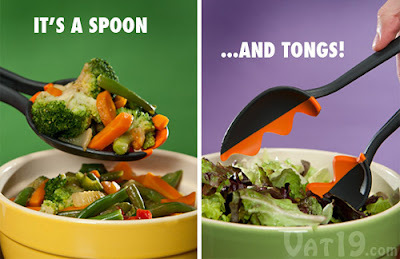 Collection of 'Clever and Cool Kitchen Tongs' from all over the world. 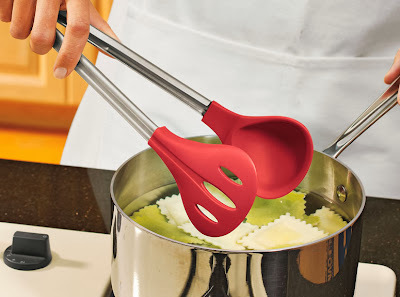 Spoon Tongs: It measures 12 inches in length, is heat safe up to 400°F and merges a serving spoon with a set of tongs. 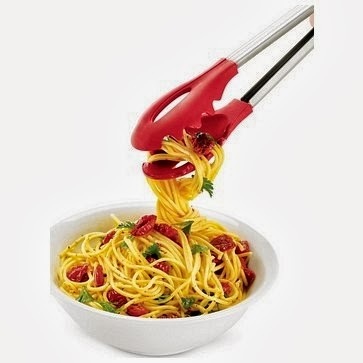 Pasta Tongs: These cool tongs feature a unique shape to pick up pasta of all shapes and sizes. 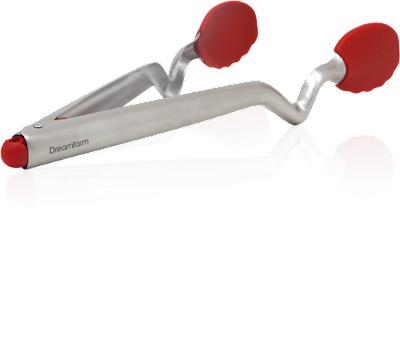 Scoop and Strainer Tongs: These innovative Scoop and Strainer Tongs comes with solid head to scoop liquids and a holed head to drain them. Digital BBQ Tongs: These tongs come with a built-in display, and the tip measures the internal temperature of the meat and beeps when it is cooked. 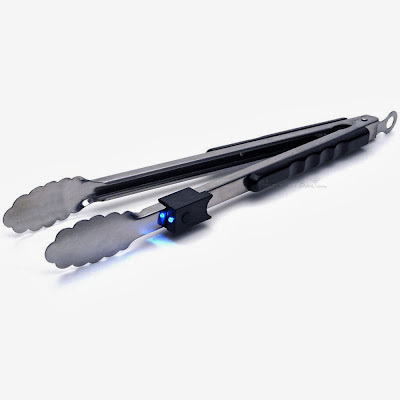 Finger Tongs: These heat-proof finger tongs allow you to safely cook with your hands. Clongs: It features bent handles that keeps them sitting up so that the surfaces stay clean; in addition is the click-lock button mechanism that makes them easy to open and close with one hand. Flashlight Grill Tongs: Designed by professional barbecuer Steven Raichlen, these grill tongs feature a cleverly designed removable flashlight. 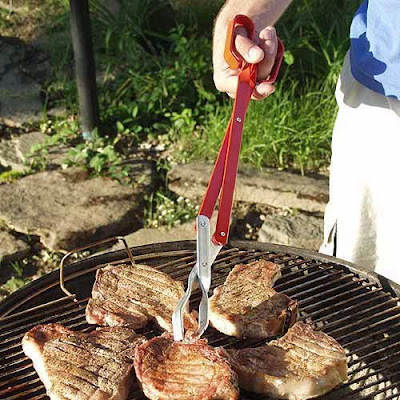 BBQ Scissor Tongs: These BBQ tongs features a scissor hinge design with a pincer-like grip that allows you to lift heavy foods with a minimum effort. 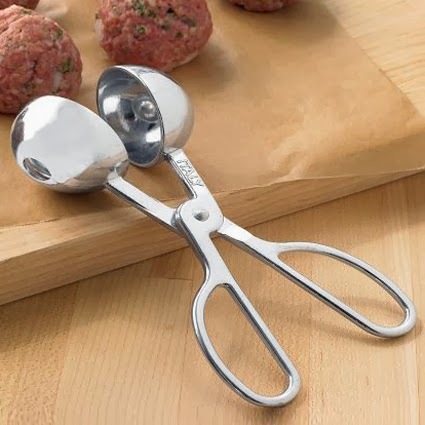 Meatball Tongs: These aluminum tongs make perfectly shaped, smooth and round meatballs about 2" in diameter. 15 Cool Jackets and Creative Jacket Designs - Part 3. 11 Creative and Cool Ways to Reuse Old Scrabble Tiles. 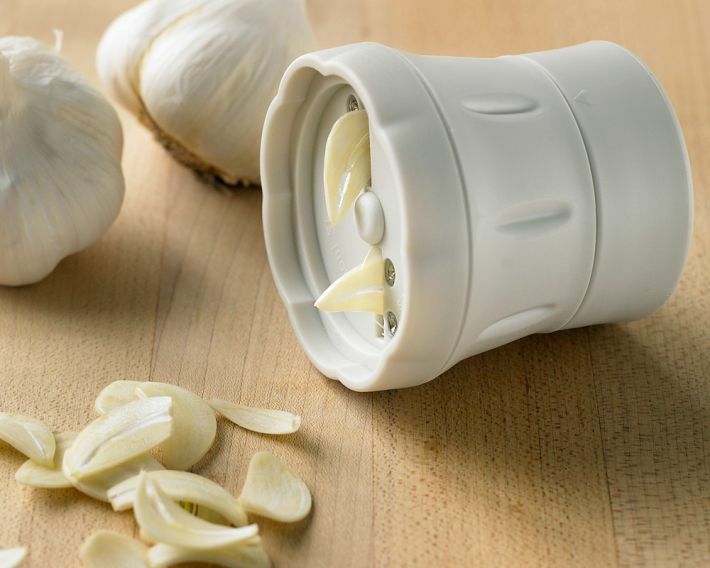 10 Cool and Creative Garlic Gadgets for your Kitchen. 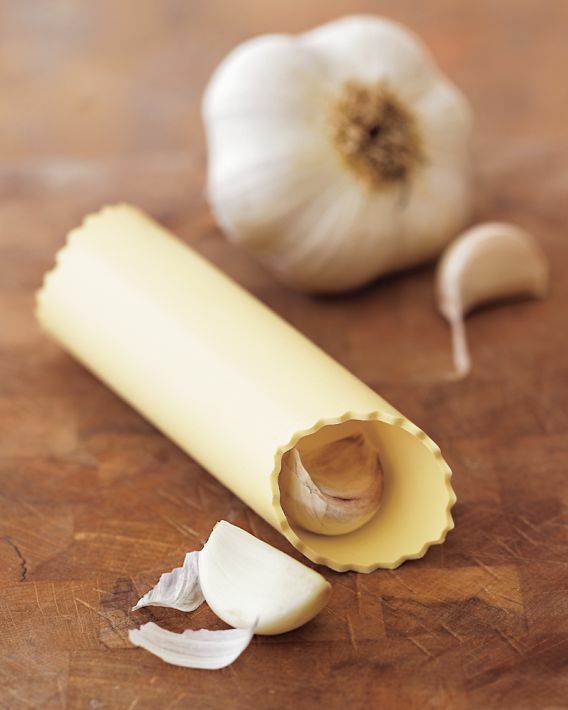 One of the toughest tasks of food preparation is peeling and chopping garlic for your dishes. These tools bring ease and efficiency to the process of peeling, crushing and mincing garlic without getting its aroma on your hands. 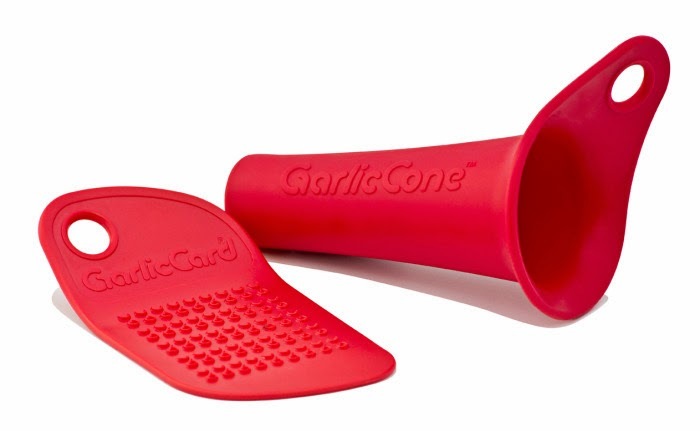 Garlic Card and Garlic Cone: Garlic card allows you to grate garlic quickly and easily while garlic cone makes peeling garlic quick and easy. Garlic Chop: It looks like a garlic clove, you need to place the garlic in the device and twist it and then push up to retrieve. 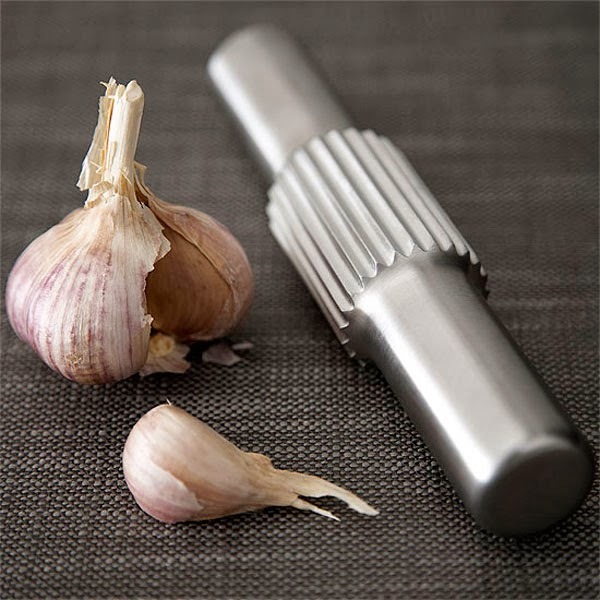 Garlic Crusher: This Garlic Crusher comes from Dutch designer Ineke Hans, simply use it over the garlic cloves like a rollingpin and it crushes and minces the garlic. 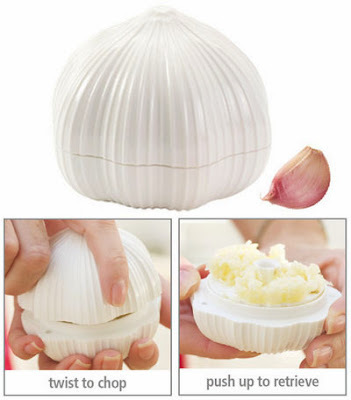 Shuck: It consists of a transparent glass container in which you place the garlic cloves and close the cover. Now shake the container till the husks come loose. 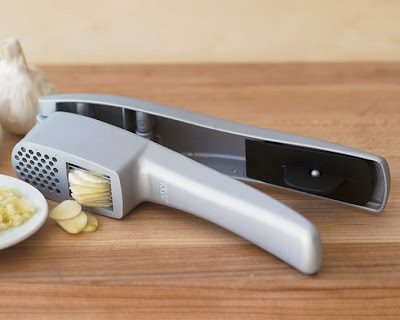 Garlic Press: Mincing garlic is really easy with this self-cleaning tool; simply drop an unpeeled clove into the hopper and close the handles, and the clove is pressed through a steel grid. 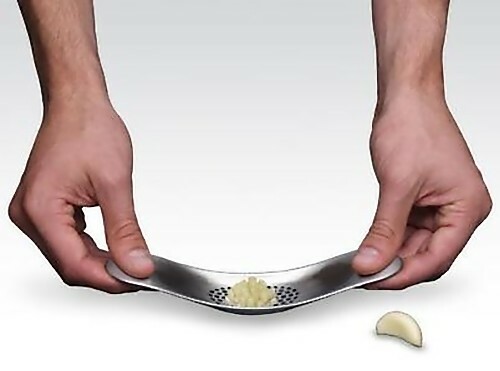 Garlic Slicer: This clever tool's twist-top design thinly slices garlic cloves to uniform width in seconds. 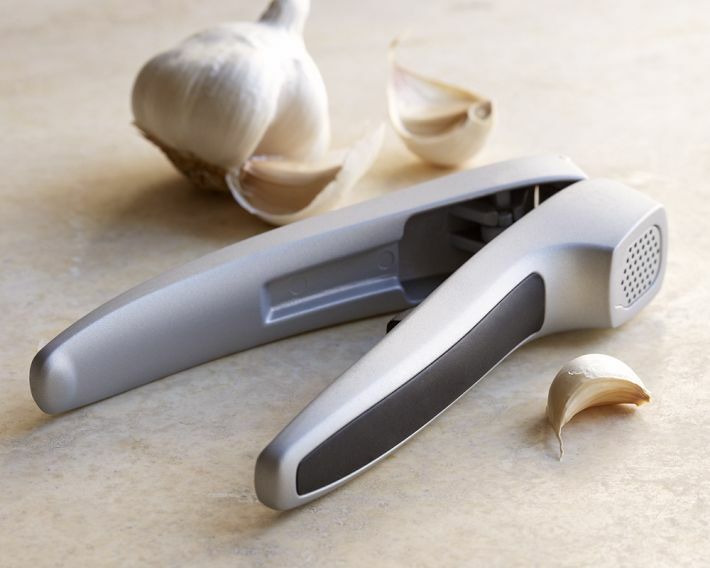 Garlic Press and Slicer: This convenient tool allows you to press garlic cloves and slice them without getting its aroma on your hands. 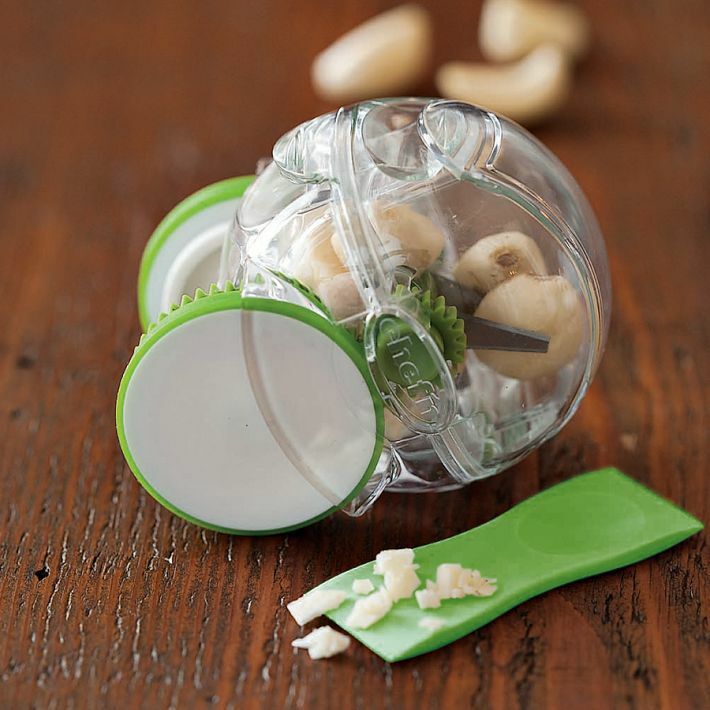 Garlic Zoom Chopper: To slice garlic, just drop peeled cloves into the mincer and rotate it on a flat surface. Garlic Peeler: Useful tool that peels a clove of garlic with easy; you have to simply place whole unpeeled cloves in it and press down firmly, then briskly rotate it back and forth for a few seconds till the peel separates. Garlic Rocker: This excellent designed kitchen tool uses downward pressure and a 'rocking' mechanism for crushing and mincing garlic. 15 Creative Pebbles Inspired Products and Designs. 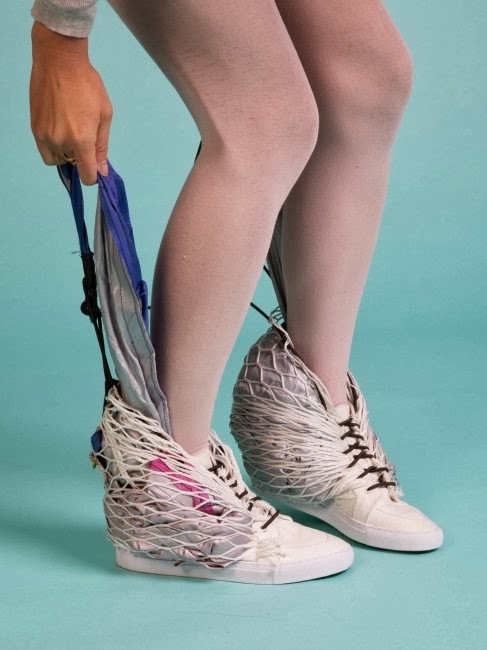 15 Unusual iPad Cases and Unique iPad Cover Designs - Part 2. 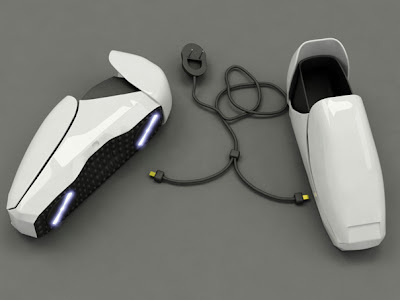 Collection of 'Innovative Gadget Shoes and Slippers' from all over the world. 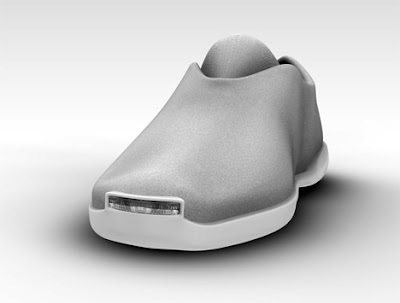 Light Shoe: The concept shoe transforms the kinetic energy generated from walking into electrical energy to power the lights. Sneakers with a built in tent: There is a foldable tent on the outside of these sneakers, that can unfold into a one-man tent within seconds. 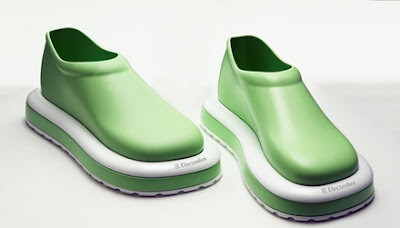 Shoes with GPS by D Wilcox: These GPS shoes are designed to guide you home with a click of the heels. All you need to do is input the location onto a map, and then the location is uploaded via USB to the shoes. 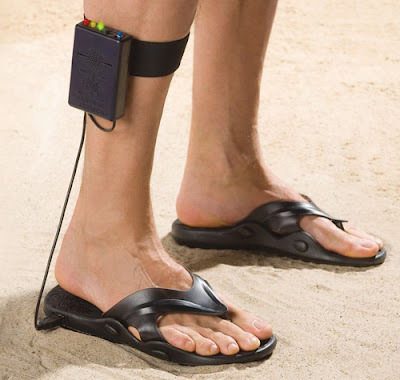 When you click the heels the GPS system is activated. 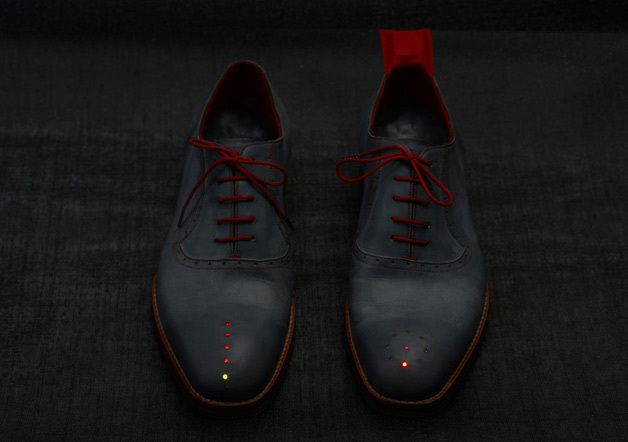 The lights positioned on the toe of the shoes indicates which direction you should walk next and a green light signaling that you have arrived at your destination. Joy Slippers: These Joy Slippers Version 2 are updated by the previous Joy Slippers version; they have 4 analog pressuresensors embedded. 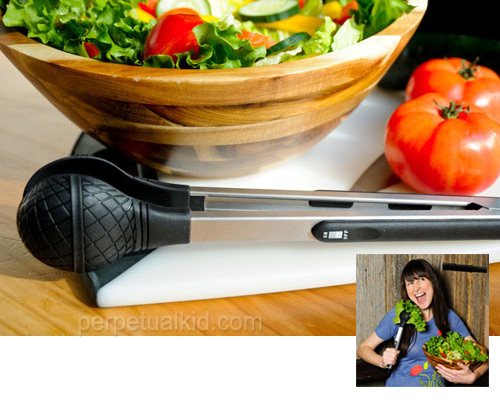 The wearer can control the direction of a line and draw in a very simple etch-a-sketch fashion. 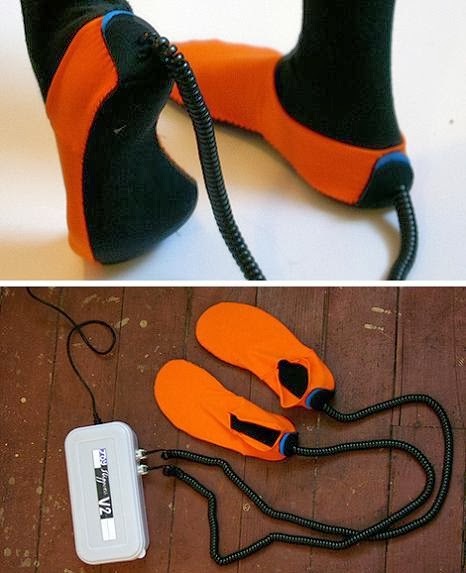 Floor Cleaning Shoe : The floor-cleaning shoe comes with two rotary cleaners underneath each shoe to clean the floor from dust, these clean your floor with every step. 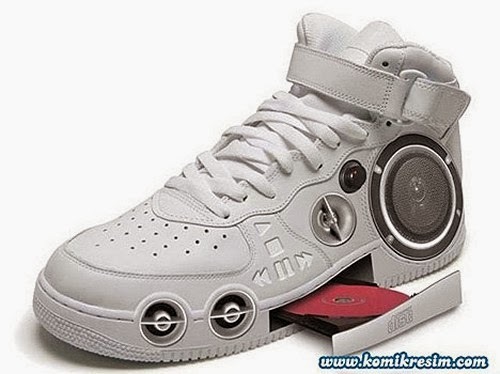 CD Player Shoe: This shoe includes a CD player, speaker, tweeters and volume control; while the controls for play, stop, forward and back are embedded into the side. 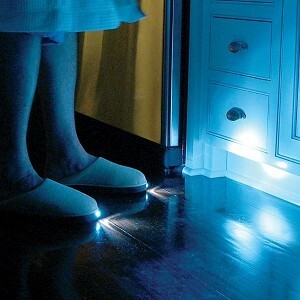 Light Slippers: With these cool night slippers, you can move around dark areas without turning on any lights. 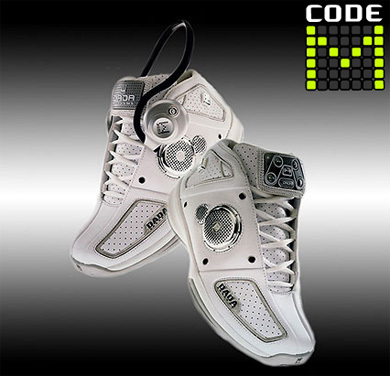 Running Shoes Mp3 Player: These are called "Code M", a set of running shoes with built-in MP3 players in them. 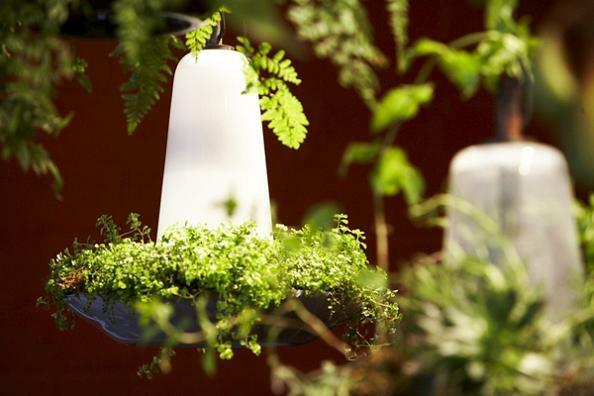 15 Unusual Designs and Products Created with Hair. 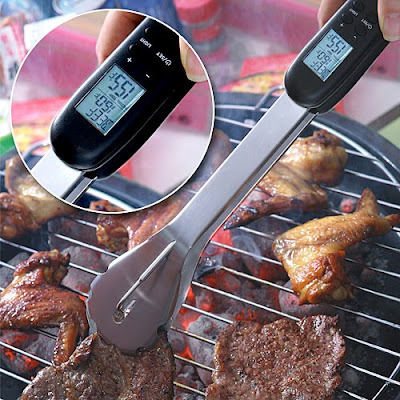 15 Coolest and Most Innovative Bike Gadgets - Part 2. 15 Cool Clothes Hangers and Creative Coat Hangers - Part 4. 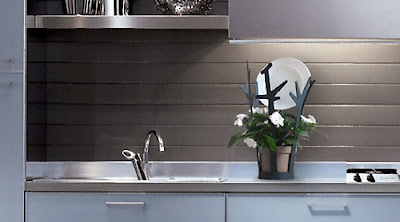 15 Creative Built-in Planters and Flowerpots - Part 2. 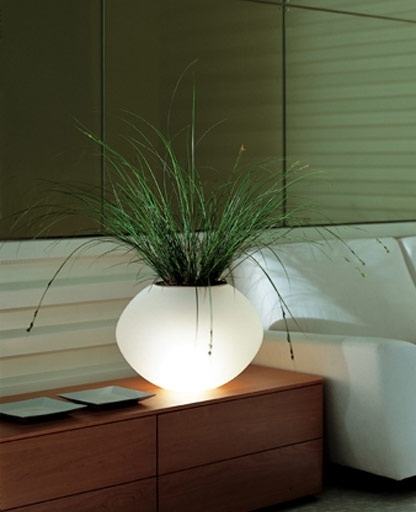 Collection of 'Creative Built-in Planters and Flowerpots' from all over the world. 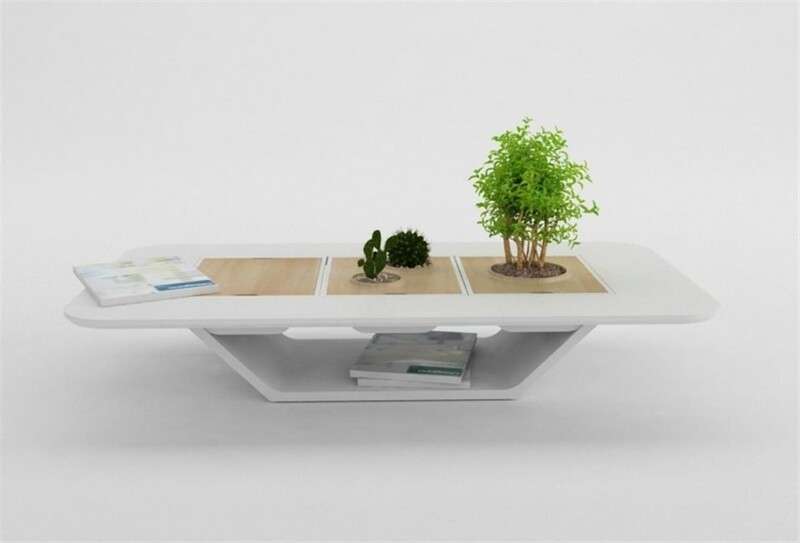 Coffee Tables with Built-in Planter: This creative coffee table designed by Bellila studio comes with a built-in planter. Table with Built in Planters and Book Storage: This cool table comes with built-in planters and space for book storage. 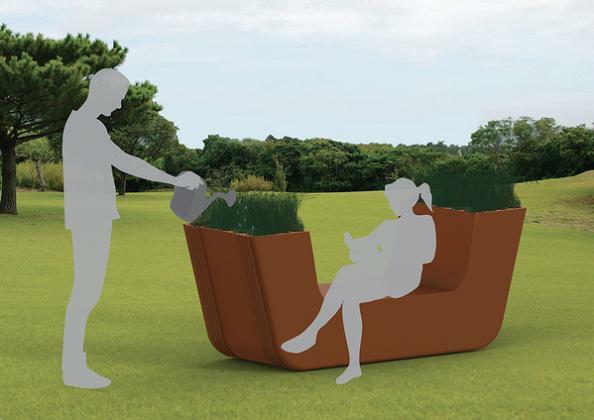 Arceas: Arceas an exercise machine brings fitness and nature together. 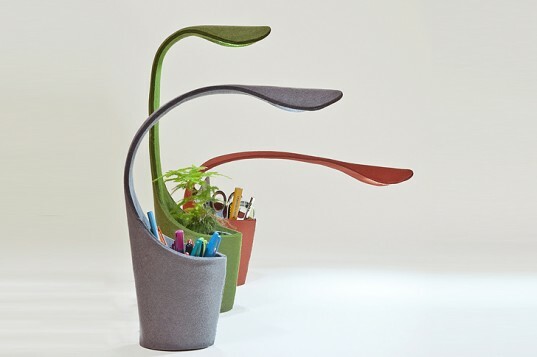 Dino Lamp: Dino Lamp by Deger Cengiz combines a functional task lamp with a planter, it comes with a flexible neck that can be angled and bent in any direction to meet your lighting requirement. Planter Coffee Table: This coffee table is created from Scandinavian foam that allows the plants to retain their freshness. 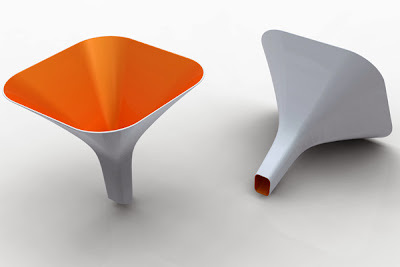 Punka Seating System: The Punka Seating System is a clever modular concept. 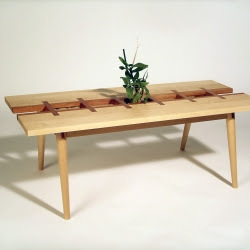 Stitch Table: The Stitch Table is a coffee table that comes with steel planters in its surface for plants and other useful objects. 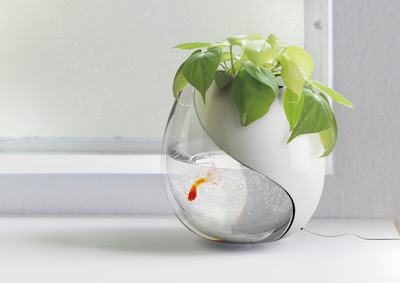 Fishtank-Planter: The Aquaponics Garden is an aquarium and planter in one. 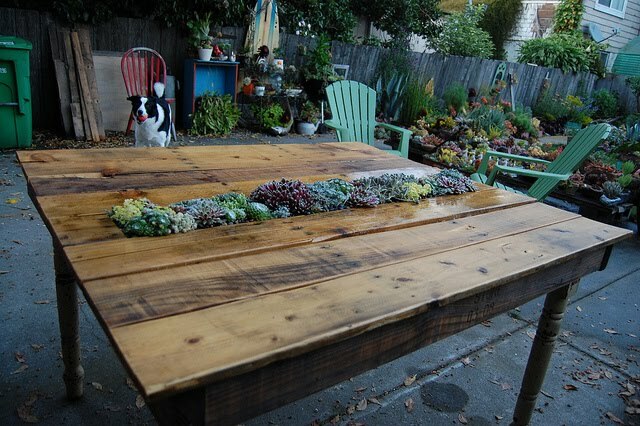 Succulent Pallet Table: Can you believe that this cool succulent table is created using old pallets and table legs. 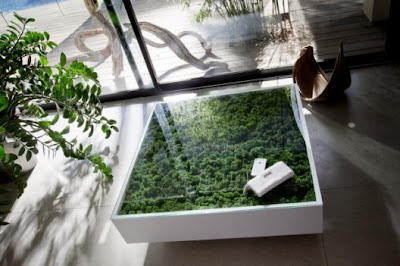 Plant Growing PC Concepts: The idea behind the project is to design a CPU that is more concerned about 'green thinking'. Fishtank and Planter: It's a combination of a planter and a fishtank. And what makes it more interesting is that the fishes turn their eaten food remnants into nutrients for the plant; and the water fed to the plant is filtered as it passes through, and becomes clean for the fish. Don't miss to check out "Creative Built-in Planters and Flowerpots - Part: 1| 2." 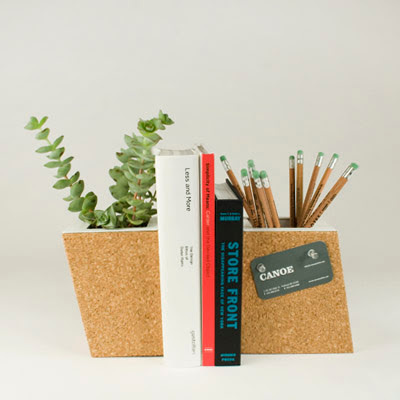 15 Creative Bulletin Boards and Cool Memo Board Designs. 15 Cool iPhone Holders and Creative iPhone Holder Designs. 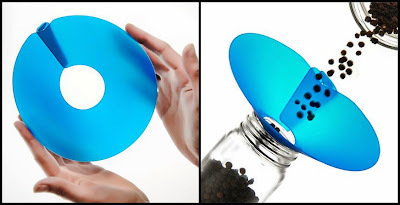 15 Unusual Business Cards Holders and Unique Cards Holder Designs - Part 2.